Of course, people from around the world knows Amritsar as the Golden city of India where the epitome of Sikh culture and spirituality the Golden Temple is located. Here, you will discover a flawlessly knitted community that goes beyond the religious cacophony of this country. Everybody irrespective of class, color and creed are fed here. Observe how food unites everyone, and, brotherhood is practiced. You could simply gasp in the surrealism of the golden edifice surrounded by a crystal clear pond or just sit by the pond at night to experience the silence within while they put the holy book (Granth Sahib) to sleep.... there is an elaborate ceremony when the head priests initially holds the book over his head and then places it into a golden palanquin. The book is then carried in this palanquin by turns on the shoulders of the devotees to the accompaniment of trumpets and drums as well as the chanting of verses by the priests. it will be unequivocally an overwhelming affair. Also, The Golden Temple’ has recently been awarded as ‘the most visited place’ by The World Book of Records’. However, we believe, Amritsar is not just about the Golden Temple it has so much more! 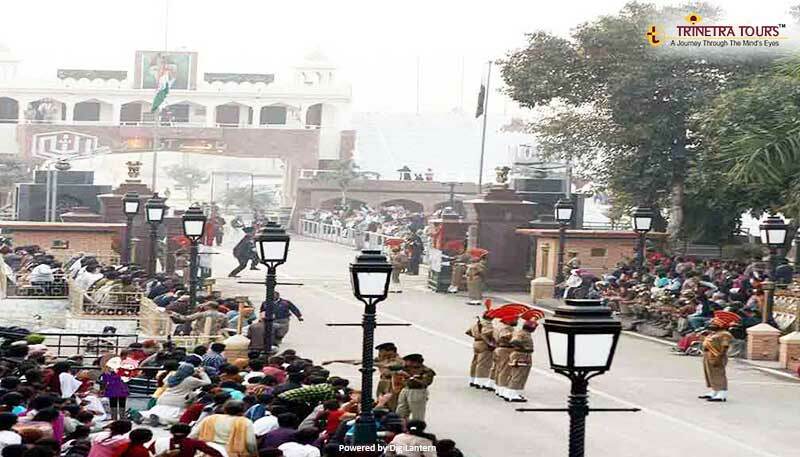 Jalianwala Bagh, the martyr’s memorial where thousands of innocent Indians were cordoned off by the British and fired. 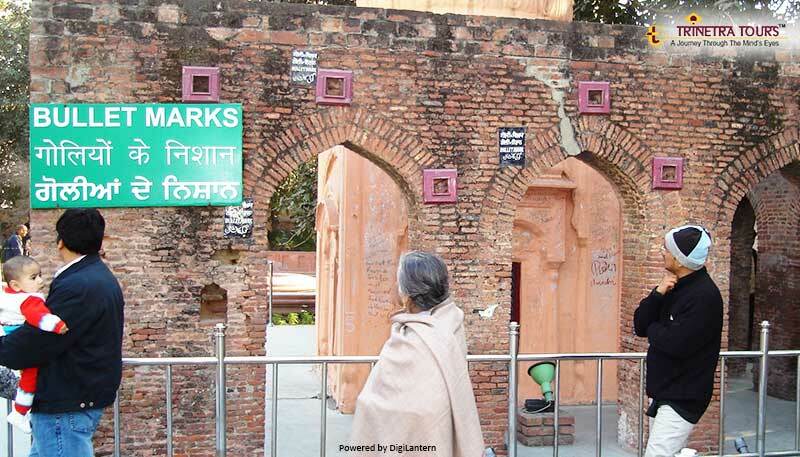 The well where several Indians jumped to escape the bullets, as well as bullet marks and a museum of pictures, can be still seen here. Wagha, the border between India & Pakistan. Each evening a very impressive lowering of guards ceremony is performed along with a march past by soldiers of both countries in synchronization to the accompaniment of bugles. The soldiers of both countries wear ceremonial dresses. It is quite a spectacular sight to see the same thing happening on both sides of the border. A short excursion from Amritsar will take you into the heart of the Sikh land where life is full of verve, color, and, traditional existence. Here, you would get an opportunity to see and experience life in a different way - a herd of buffalo followed by women in their bright dresses, smoke rising from traditional cooking fires, families in traditional outfit riding on a tractor, village children playing traditional sports, village elders hurdled together smoking hubble-bubble while discussing social and village issues, etc. 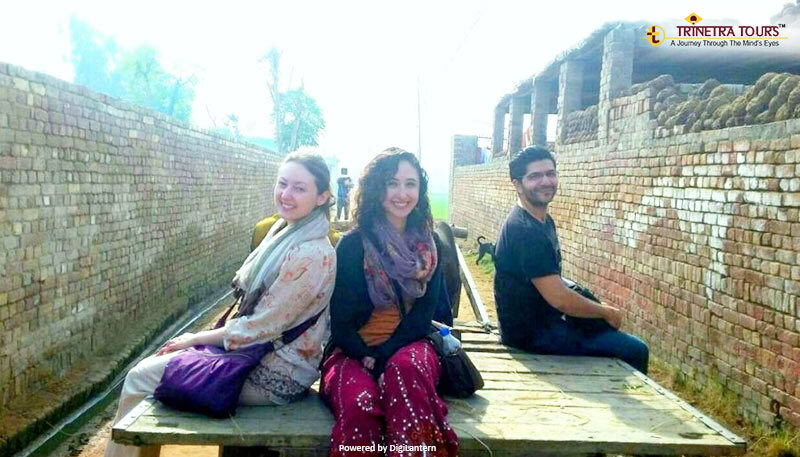 Sadda Pind, located just 8 KM from Golden Temple where you could taste and experience the uniqueness of Punjabi culture. A living Museum that spread across 12 acres of land. 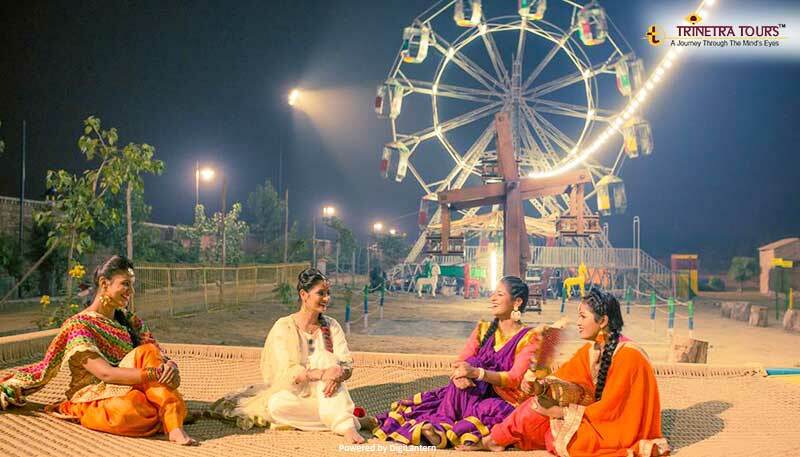 It brings you a chance to experience the old world charm of Punjab through cultural performances, folk dances, local handicrafts, songs, stories and of course, the mouth-watering delicacies. No city has been fully explored until its local cuisines have been tasted. 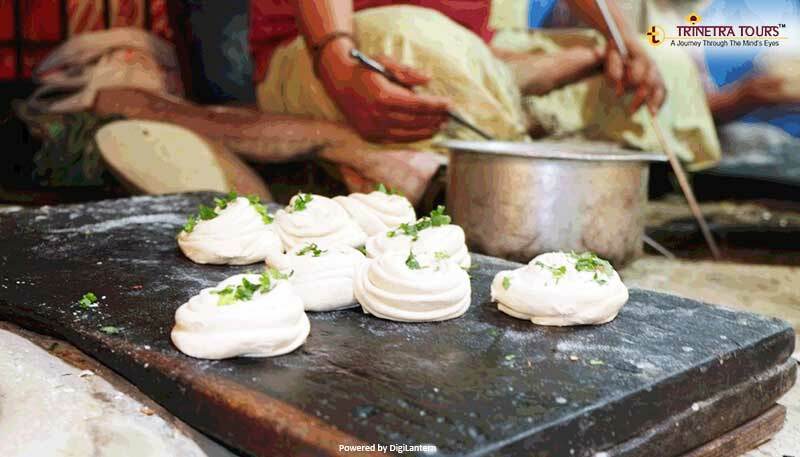 Amritsar can be aptly called a food lovers paradise with its variety of street food joints. The sight of fresh vegetables being tossed in hot oil and then mixed with fresh aromatic spices will get the butterflies in your tummy fluttering. The best time to visit Amritsar & Golden Temple is the winter season as the summer is quite hot and humid in Punjab. If you wish to read about more such places in India, let us know by writing to us at tours@trinetratoursindia.com. We would be more than happy to share the information with you.